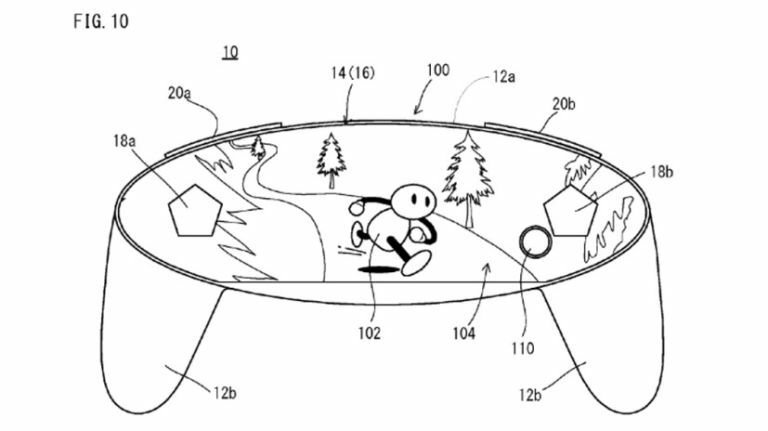 Nintendo may be keeping predictably tight-lipped on the development of its next console (codenamed 'NX'), but a recently submitted patent for an innovative new controller design could give us a tantalising insight into what the House of Mario could working on next. The filed patent is for a design that replaces the classic physical buttons of a traditional gamepad with a touchscreen that covers the entire face of the peripheral. It's pretty out there in terms of its look (even Valve's new Steam controller isn't this innovative), but if true it would make sense considering the emphasis Nintendo placed on having a peripheral screen in its Wii U gamepad. This patent, while far from official (it's only a design and not a final prototype, after all), does ring true with strong rumours from inside sources that suggested Nintendo's NX console would have a controller that could be used independently of the main unit. Wii U's gamepad offered the ability to use the screen to play games in lieu of a TV so such a transition does seem convincingly organic.